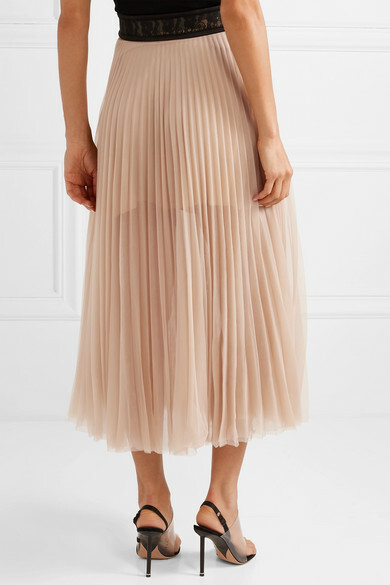 Christopher Kane's Spring '19 collection is inspired by Marilyn Monroe - this pleated skirt reminds us of that iconic white dress she wore over a subway grate in the 1950's movie Seven Year Itch. 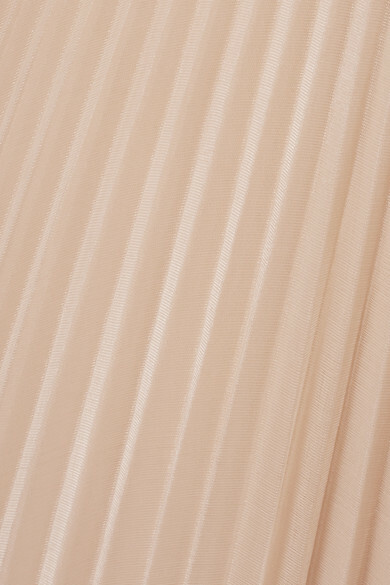 Cut from breezy chiffon, it's partially lined and has a contrasting lace waistband to highlight the smallest part of your frame. Shown here with: Petar Petrov Top, Paco Rabanne Shoulder bag, Alexander Wang Sandals, Saint Laurent Earrings.